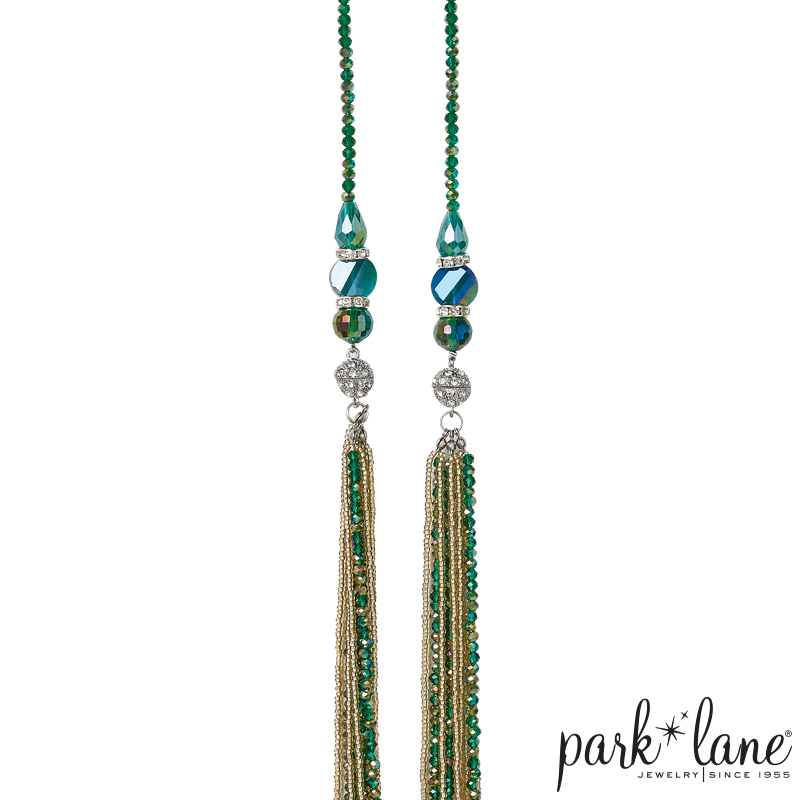 Multiple strands of golden baby seed beads and emerald green beads with aurora borealis sheen connect with magnetized crystal-encrusted spheres. Emerald crystal jewels and crystal roundels add interest. 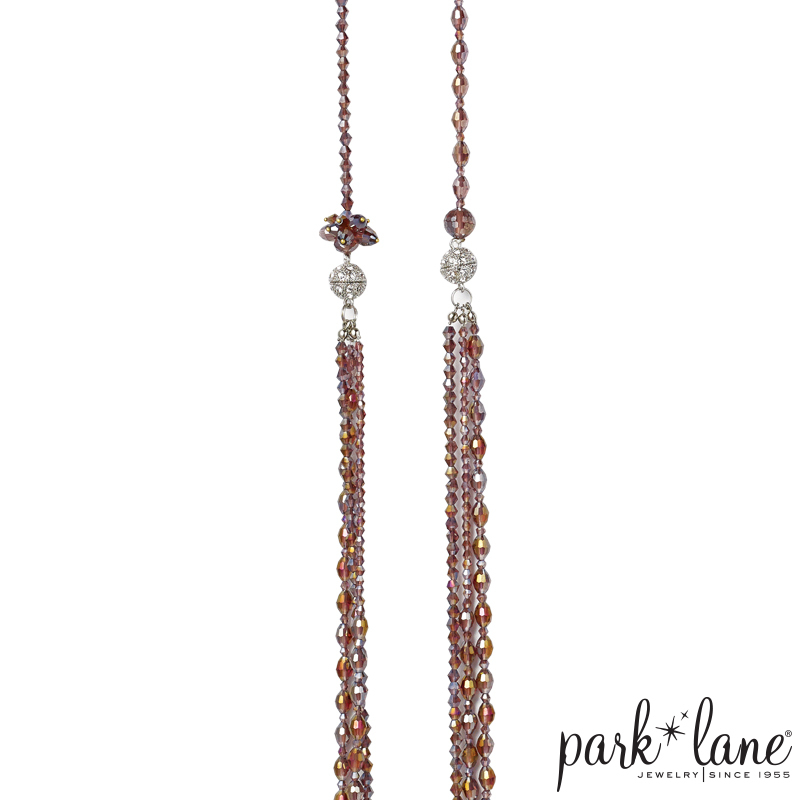 Wear the necklace long or shorten to fashion a single or multi-strand choker. 34”+ 3” ext.